Daniel Nadav was resting at home when he heard what he thought was a quarrel. Then the terrorist saw him. Adam resident Daniel Nadav told Israel's Channel 2 how he escaped the Palestinian Authority terrorist who had attempted to overtake him. 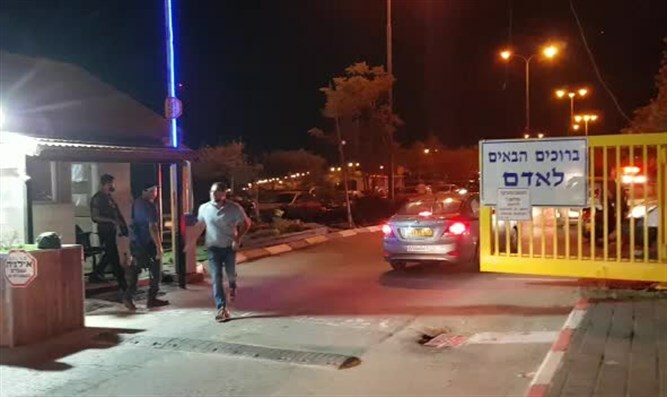 Terrorist Tarak Da'ar Yousef, 17, stabbed three people in the Jerusalem-area town of Adam, killing a 31-year-old father of two and wounding two others. Speaking with Channel 2, Nadav said, "I was resting at home, I got up and heard screaming. I went downstairs and saw chaos, with people moving as if they were fighting. I thought it was a quarrel between neighbors, and I saw someone filled with blood running in my direction. Then I understood that it was a security incident." "The terrorist saw me and ran after me. I ran away and he understood that he had no chance of catching up to me." Nadav added that another resident, who was a previous target of the terrorist's, ended up being the one who neutralized him and preventing a much larger attack. "He stabbed two people, then attempted to stab a third," Nadav explained. "He stabbed him and then he (the victim) neutralized him, shot him." "I saw the stabbings from a distance of two meters (6.56 feet - ed.). We started screaming, we called the police and an ambulance, we were very shaken, this is an unusual event. I saw my neighbors slaughtered in front of my eyes. It's not a pleasant sight."